Player to Watch: Neemias Queta - Utah State; the big for Utah State is a huge shot blocking presence at the rim and some day is a future NBA lottery pick I believe. If he is knocking down shots in the post and altering opponents' shots the Utah State Aggies are a tough out. Storyline: Everyone wants to see a Utah State/Nevada rematch in the final after the postgame incidents in Logan. Will the top seeds oblige and make it to the final. Predictions: The winner is coming from the Top 4 seeds; yes Air Force and New Mexico each have two wins against the Top 4 but the inconsistently, especially of the Lobos, have killed them all year. As a biased fan of the team who follows them closely, I have no idea how they are going to perform. 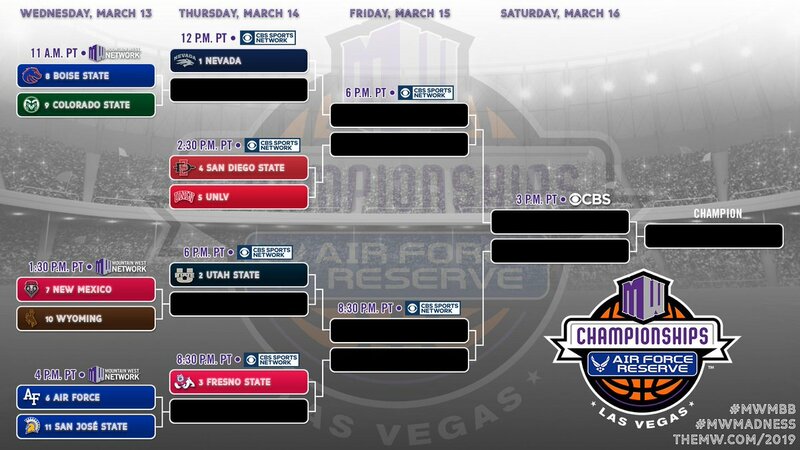 I have gone back and forth on this all week, but I like SDSU to upset Nevada in the semis as they did last year and fans won't get the rematch of Nevada/Utah State like they want, in fact I am picking the Aztecs to win their 2nd consecutive Mountain West tournament. The Aztecs are loaded with talent, including future NBA player Jalen McDaniels. Storyline: This conference tournament is wide open. Despite the fact that Washington won the league regular season by multiple games, they struggled down the stretch losing to Cal and Oregon. The other storyline from this Tournament is the downward trajectory of the league and how many teams will make the NCAA tournament. 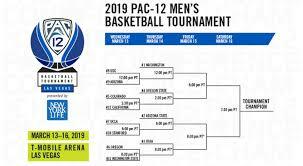 Right now it looks like 2 teams from the Pac-12 will make the tournament with Washington in and Arizona State on the bubble. If one of the Top 2 doesn't win the conference tournament, could the league get 3 teams in? If Washington wins and Arizona State bows out early, could the Pac-12 be a 1-bid league? Predictions: Good luck predicting this tournament. I am confident that chaos will happen. I won't be shocked if UW wins the tournament, but I expect the winner to come from the field if you are asking me to take UW, Arizona State or the field. Colorado and Oregon come into the tournament as the hottest teams in the league (although you could argue 12th place Cal is in that group as well with wins over UW and Stanford). I believe that coaching will be the difference in this tournament and I am not going to bet against Dana Altman, give me Oregon to win the tournament. Now that the NCAA NET rankings are being used, how does a team's NET ranking vs. their RPI ranking compare at this point in the season and are there any obvious bugs or flaws in the NET rankings? From the above rankings you can see that three teams (Nebraska, NC State and Florida) have seen a large bump in their NET rankings vs. their corresponding RPI rankings. Other college basketball analytics gurus have surmised, by looking at efficiency rankings, that the reason for many of these bumps is from an increase in offensive efficiency rankings from blow outs against teams that would negatively bring down the team's overall strength of schedule. NC State is the most glaring example of this, their SOS is 352 but they have a very strong NET ranking based on their efficieny rankings. The fact that offensive efficiency can be influenced by scoring a lot of points in blowouts against lesser competition points to what some critics call a flaw in the rankings that allows the NET to be "manipulated" by running up the score against lower competition. To be sure, critics of the RPI said that it could be manipulated as well by scheduling lots of teams with middle of the road competition on the road/in neutral locations and encouraging others in your conference to do that as well. As the first year of the NET rankings I am sure that adjustments will be made in future years to address some of these concerns. Time will tell whether or not teams that would not normally have been considered due to their SOS/RPI are now considered based on their NET rankings and how much it will influence the Committee. Keep in mind that the NET is only one ranking system that Committee members can use, they also have access to KenPom, ESPN's BPI, RPI and other ranking systems so I am hopeful that the Committee will be balanced in their selection approach this year. One thing is for certain, bracketologists are in uncharted territory this year!